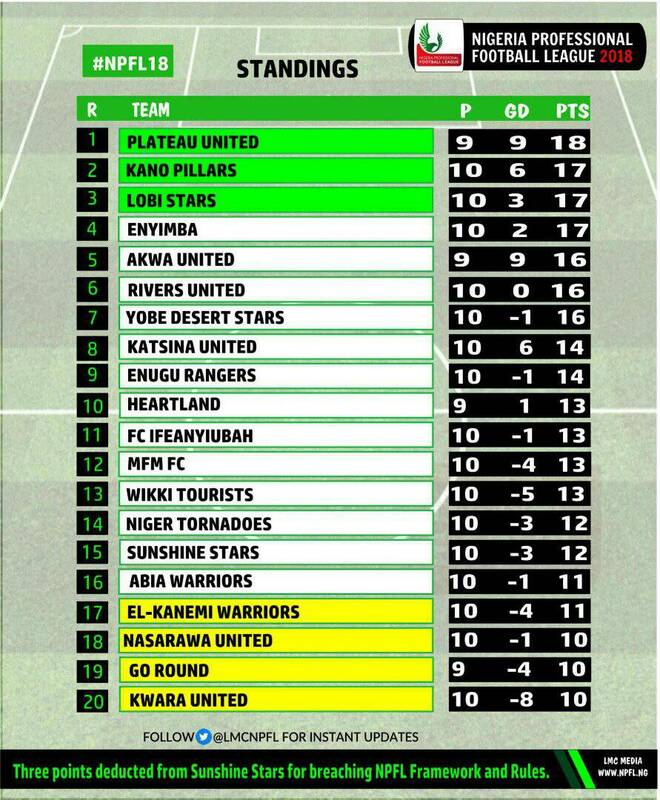 Plateau United is on the verge of extending their lead on the league table to a comfortable four point lead. They have only played one of their two outstanding matches. 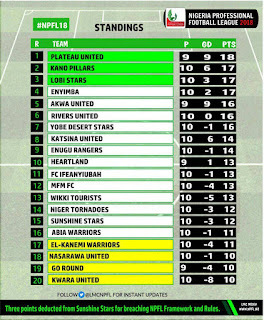 The defending champion defeated Rangers International 1:0 at home to gain a valuable three point advantage and a win in their remaining outstanding game will seal their place on the table ahead of Kano Pillars who are currently blowing hot upfront courtesy their striker Junior Lokosa. The NPFL league leaders will be in action against Etoile of Tunisia on the 6th of March in a CAF champions league fixture.